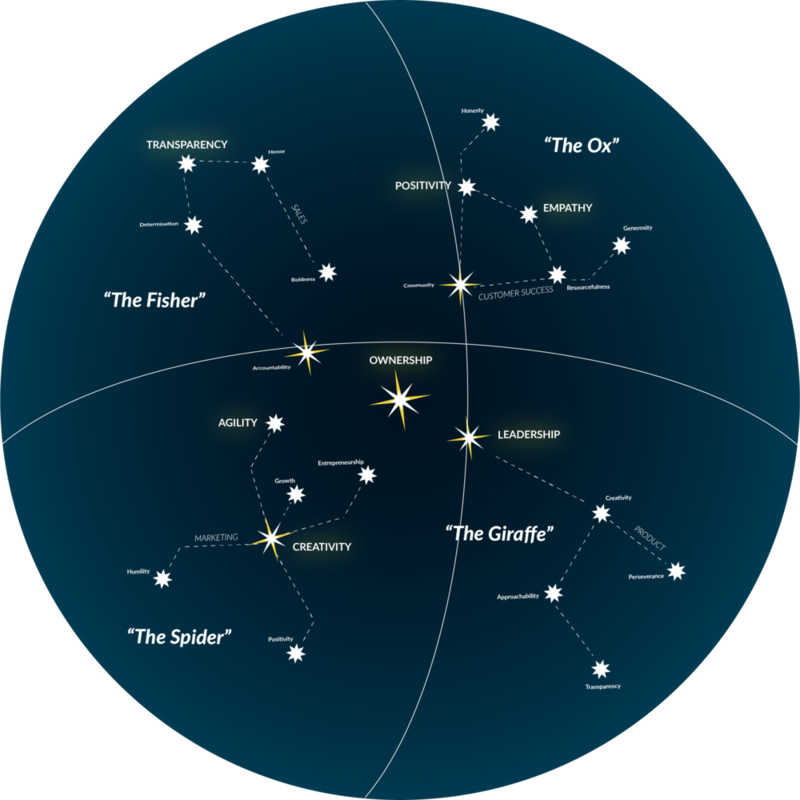 We look at our culture as a star map— interconnected constellations working together to create one big, beautiful night sky. 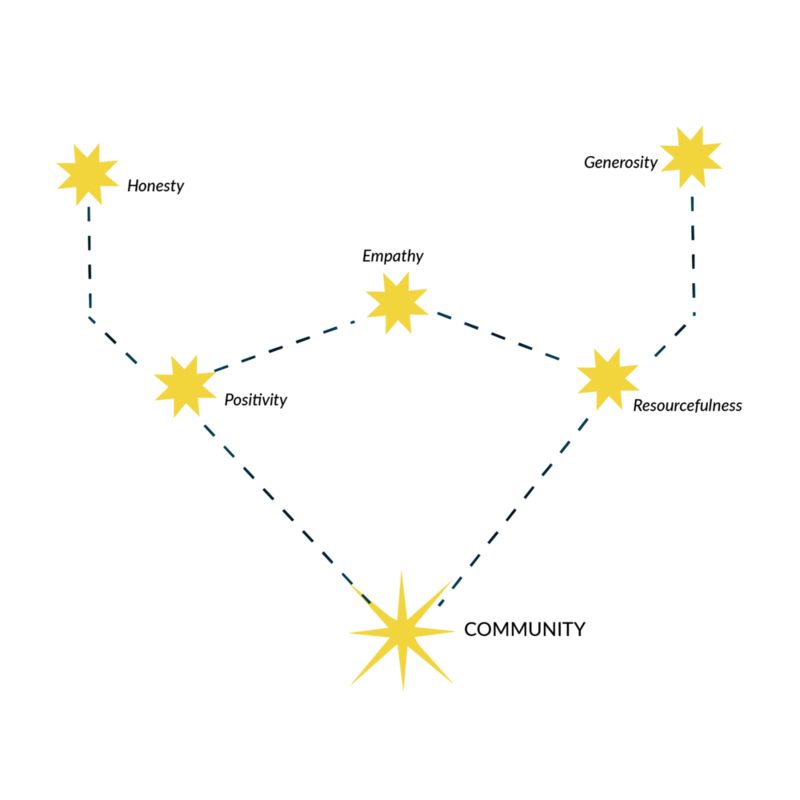 Not all teams can function with the exact same values, and we think that’s pretty cool; each of our teams has an individual constellation that represents their culture code. Still, there are some values we all share: Ownership, leadership, creativity, empathy, agility, and transparency. What does that mean? It means we embrace the entrepreneurial spirit in everyone, and we know that the best ideas can come from anywhere. We communicate openly, and we’re always ready to try something new to find a new solution. It means our teams may not interact every single day, but we always have each other’s backs. So hey, what’s your sign? Our team counts on everyone to pull their weight. We’re versatile, strong and capable. We work best when we work together, and when we do there is nothing we cannot accomplish. Give us a job and we get it done. At our core, we are the fisher-person; we put food on the table. Determined and tenacious, patient and focused, the fisher-person uses the right bait and tools to bring in the biggest and most suitable catch to help their family grow. Giraffes are graceful, well-groomed individuals who move with confidence and elegance found only in the big game animals. Uniquely suited to their environment, giraffes are fastidious and able to see right over what’s in front of them to what is coming next. At our core, we are craftsmen. We nimbly navigate new concepts and ideas, weaving them into something beautiful and exciting. We are both the surprise and the delight, the dreamers and the doers: but we cannot create without an innate sense of hard work, ourselves, and implicit trust in our teammates.